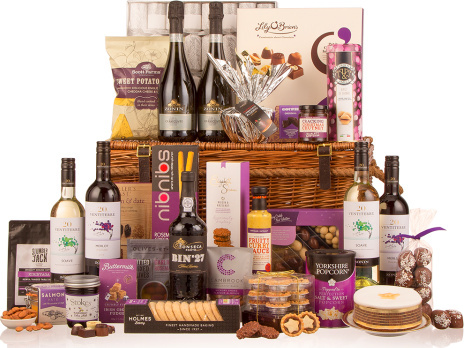 This wonderful hamper lives up to its name and adds a splash of colour to boot! Two bottles of Prosecco, a bottle of finest reserve Port, two bottles of Soave and another pair of fantastic Merlot wines are only the start. Dig deep and you will find Buttermilk Irish cream fudge, Holmes blackcurrant shortbread, Snack Tree Luxury Coated Nut Selection and The Original Cake Company round Christmas Cake - we have chosen the best of the best for a truly indulgent offering.